Tasted at the L&B whisky weekend 20-1-2018.
rather inoffensive malt, that – however—does not really show its age. with hints of ash and cinnamon. 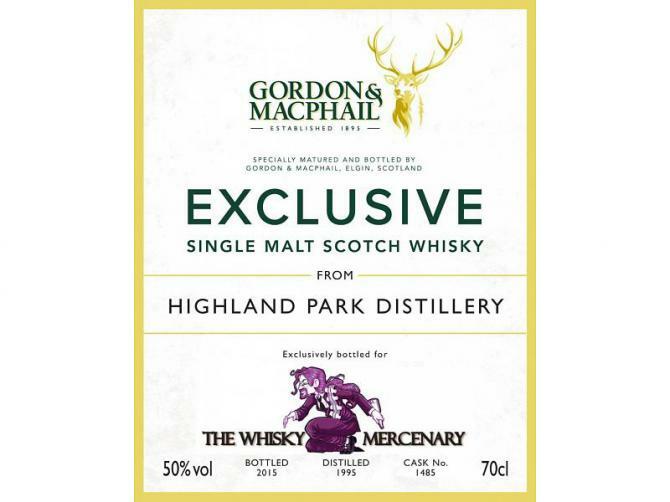 Highland Park 20 yo 1995/2015 (50%, Gordon & MacPhail, Exclusive for The Whisky Mercenary, refill hogshead, cask #1485, 325 bottles) Colour: straw. Nose: starts bone dry, grassy and barleyish, with an obvious lemony side. 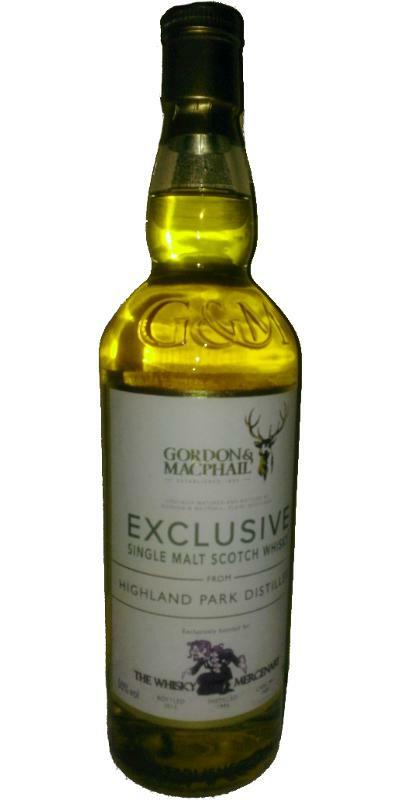 It’s only after a good thirty seconds that rounder and sweeter fruity notes come through, such as ripe gooseberries. Quite some acacia honey too, which makes it pleasantly nectary. With water: even grassier and chalkier. Touches of hay and porridge. Mouth: sharpish, starting zesty and grassy, just like on the nose, with lemons and cider apples everywhere, and a slightly acrid smokiness that goes well with this context. It’s also quite ashy and mineral. With water: it’s the coastal saltiness that comes out, together with even more smoke, you’d almost believe we’re on Skye. Finish: long, salty, ashy, smoky. The barley’s returning in the aftertaste, and it would come with touches of bitter oranges. Comments: probably one of the smokiest and driest HPs I could try. Some kind of bespoke batches? I find it very good, if really unusual. SGP:363 - 87 points. Be carefull; it's very very easy and nice to drink. Sadly it's expensive. Wow, very seductive sweet and fresh! Lots of fruit like red appels, juicy pineapple, and necatrines with the freshness of lemons. There's also an hint of smoke. Rich and very easy to drink. It's not light or soft, but no trace of harsh alcohol to be found. More candied fruit and less fresh. Still pineapple and citrus. Lot's of heather and honey. Of course no Islay, but for HP, the dominant smoke surprised me a bit. A very tasty malt, but one does not notice his age in any way. Blind, I might have rated him a little better, but that leaves a little disappointment with the relative one-dimensionality for a 20-year HP. Nonetheless a good and interesting malt. 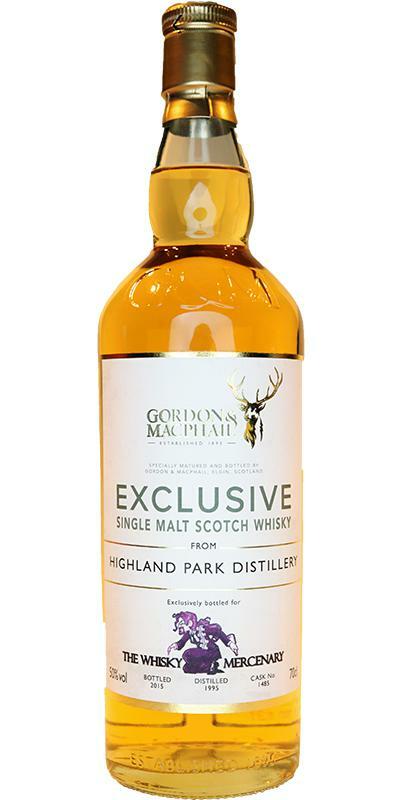 Was tasted in direct comparison with the HP GM 1990/2015, Cask 5105 and unfortunately could not keep up. Surprised! The first impression is mainly smoke. Warm, pleasant smoke - but dominant. After some time in the glass become creamier. Clear, syrupy sweetness. A touch of fruitiness flashes through - pineapple? Buttery sweetness, creme brulee. Vanilla. Light fruit notes / acid give a small counterpoint. The longer in the mouth, the more clearly the smoke unfolds again. No bitterness. Medium long, warming. Tender smoke lingers for a long time. 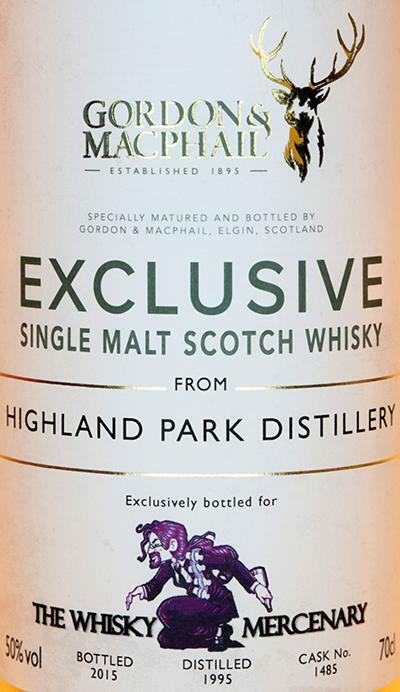 Although I still prefer Highland Park in Sherry casks, this one (which is in bourbon casks) is well made, balanced, and consistent. A good selection of the Whisky Mercenary. First very lemony, then follow a light sweet smoke, vanilla and honey. A fruit basket (lemon, pineapple, banana) then invades the nostrils. A bitterness of apple peel at the mouth. Then vanilla and a thin spicy smoke. Some white and citrus fruits try to make a place for themselves, but the smoke remains in the foreground. Long. The smoke grows, while the fruits go out. Some sweet spices sprinkle the smoke. you, Jürgen, for the sample. farmy notes. This is very good. I could keep smelling this. influences on the nose returns on the palate. Apricots and grapefruit kick in. But the woodsmoke, peat and oak give it a depth that I can really appreciate. dangerously quaffable from the second sip. wonderfully long and smoked, sugard lemon peel. Excuse me? Yup.